Find yourself amid the towering red rocks of Sedona, Arizona. This visually breathtaking and history-rich area lies tucked into the high desert of Arizona under the towering southwestern rim of the vast Colorado Plateau. Blessed with four mild seasons, abundant sunshine, fantastic arts and entertainment, and world-class resorts and dining—not to mention hiking, biking, and spiritual enrichment in a stunning red-rock setting—Sedona is the ideal place to vacation any time of year. 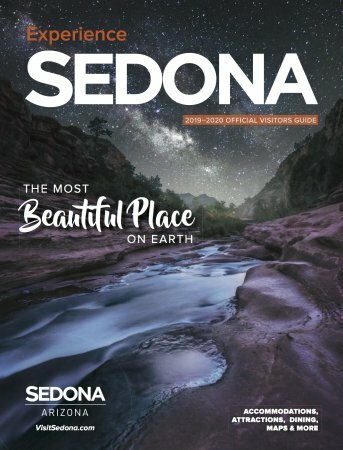 Begin planning your Sedona escape with the Experience Sedona 2019–2020 Official Visitors Guide.